Our church's Relay for Life team, the Faith Believers, raised $4,537 for the fight against cancer, earning them theSilver Team title! We are grateful for the blessings of our members who took part in the event or who donated. 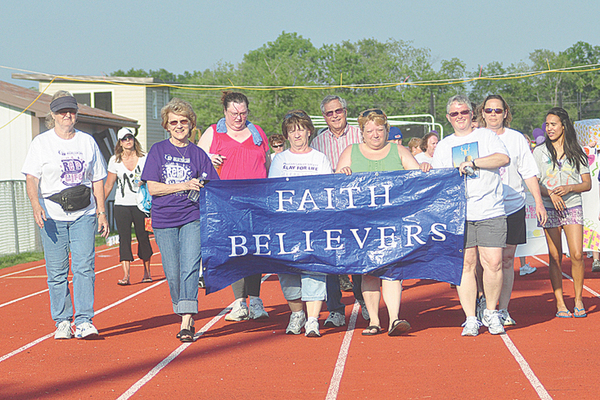 Pictured, the Faith Believers team from Faith United Methodist Church walks a lap at the kick off of Relay for Life.